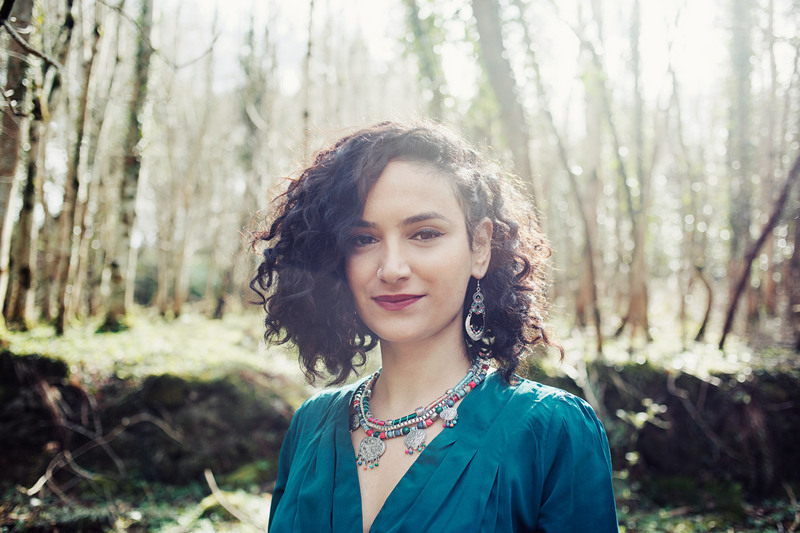 Palestinian singer and songwriter Ruba Shamshoum is about to release her debut album Shamat (Beauty Spots) which merges innovatively Jazz music with different styles of the region. Ruba Shamshoum has been making music since 2011. “When I think about creating art, I feel we have to think that our time should always be the beautiful time. We should always think and re-think art, we should never be static.” tells Ruba Shamshoum to an audience during her TedTalk in London talking about creativity in a society that worships the past. When thinking about artists and musicians who influenced her, Ruba explains that “the most important thing that inspires me is innovation and artists who really tell a story and think outside of the box.” The first time she started to write her own music was for the film Lamma Shoftak (When I Saw You) a film by Annemarie Jacir who is a Palestinian filmmaker and poet. The song Ya Layl La Trooh (Oh Night Don’t Go) combines Jazz with familiar and unfamiliar sounds from the region. Her music reminds sometimes of musicians like Norah Jones, but having a different touch and sound. In one of the verses of Ya Layl La Trooh, Ruba sings of a paradise full of song. After releasing a couple of singles such as Fuqaati (My Bubble), she recorded her debut album in Dublin in 2016. Both of the songs, Ya Layl La Trooh and Fuqaati will be included in the Album as well, because it sets the tone of the album. One of her songs that are included in Shamat is Fuqaati (My Bubble). This song is an introduction to the whole album, defining the soul and sound of Ruba Shamshoum, harmonizing between Jazz and her own sound which she developed over the years. The illustrations accompanying the song are created by Charlotte Shama. She is making illustrations for each song of the album as well, which are characterized as both dark and beautiful and Ruba’s sister Joanne Shamshoum, a graphic designer is working on the design of the album with Shama’s illustrations. The album is expected to be released this year, and currently a crowdfunding project is active where you can support her music. You can find it here.